I was considering buying one of these isolating boxes for quite a while before I finally plucked up the courage to spend the cash. I needed to isolate my balanced audio interface from my unbalanced power amp because I was picking up some awful ground loop buzzing in my speakers. 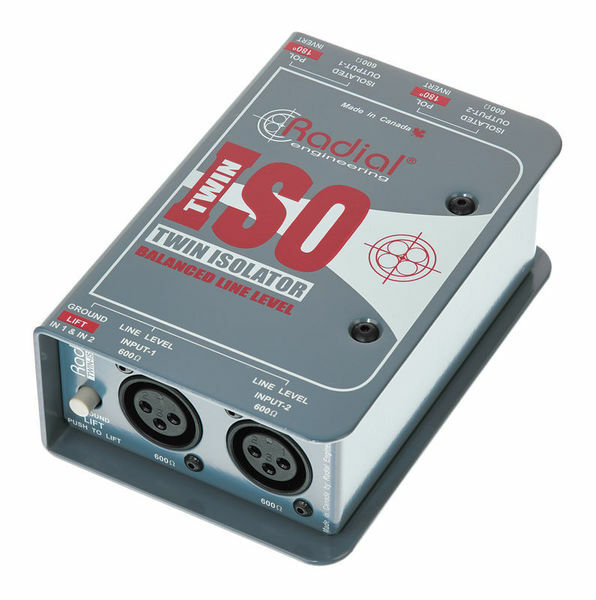 It's certainly not cheap but like all Radial products the Twin-Iso is built like a tank and could probably be run over by a car or dropped out of a window and it would be fine. All Radial products I've had have been made to the highest standards, and this is no exception. For a long time the Twin Iso had Jensen transformers inside. Jensen have made arguably the best transformers in the world for decades, and considering Transformer Isolating boxes are basically just transformers in a box, the transformers have a big impact on the sound (in fact the ONLY thing that has an impact on the sound). Recently Radial bought the Jensen company and then I noticed the Jensen name disappear from the Twin Iso product description. It was hard to get a straight answer about what exactly that meant for the product, but I went ahead and bought one anyway. 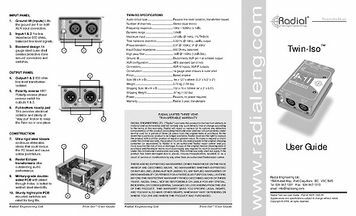 I was a little aggrieved when I finally bought the Twin Iso to find Radial's own transformer inside rather than the very well respected Jensen isolating JT-11 series transformer, which was previously used in the Twin-Iso. 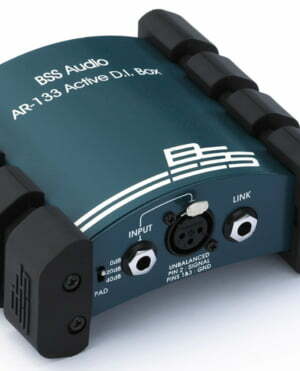 Now I guess the question is whether there is any difference in sound quality between these 2 transformers.. 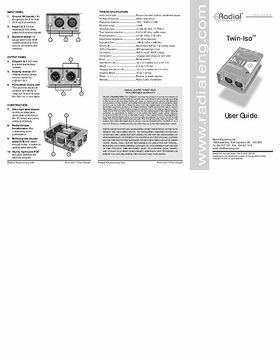 The Radial Twin Iso DOES sound very good and as a way to isolate two pieces of equipment without changing the sound it works very well indeed and it made my amplifier silent from all buzzes and interferences that had previously plagued my monitoring setup. 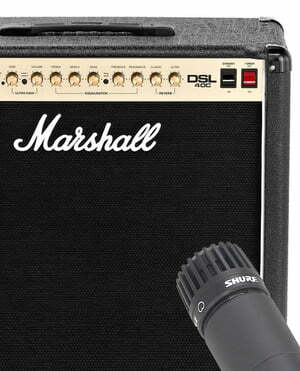 There is also no noticeable loss in audio quality when it's used. That being said it still feels a bit cheeky to sell a product for the same amount when it previously used 2 world renowned £100 a piece transformers and now it uses their own in-house made transformers that have no track record, history or documented uses. So although I would have preferred Jensen transformers inside, it is probably doubtful that any difference in sound quality could actually be heard. The specs for the Radial transformers are in fact very good and Radial have actually been making transformers for a few years now so I'm sure the transformers are of the highest quality (they better be for this price!). 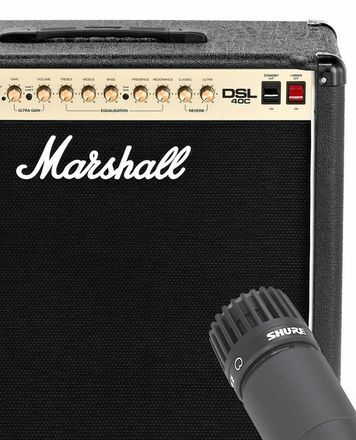 I still wouldn't hesitate to recommend this product to anyone who cares about sound quality and needs to isolate two pieces of equipment from each other, just don't expect to find Jensen's inside, if that even matters to you. Rugged Precise - you don't even know that you have this in chain. It does what it has to. Great device if you need it go for it. ID: 208037 © 1996–2019 Thomann GmbH Thomann loves you, because you rock!